Once you have found one ant in your home there’s a big chance that there is an ant nest on your home. Enviro Pest Solutions is the most trusted pest control company, Sydney that specialises in detecting and exterminate ants in and outside of your home. We check and examine what types of ants are invading your home, and then we provide you with fire ant eradication, we remove carpenter ants and eliminate any other species of ant from your property. Fire ants are an aggressive ant species that attack people and pets once they disturb their nest. These ants can be a serious health risk to your family and pets, their bites are painful and it can cause an allergic reaction. If you have fire ants in your home, contact Enviro Pest Solutions for an immediate and effective ant removal. Carpenter ants mostly found in construction sites because of the wood and other structural materials that serve as their food and habitat. And because they eat wood, they can cause damage to your trees, woods and other wood furniture around your property. It is already a cause for concern once you see ants running around your home, but it takes much cause of concern when you see flying ants because they pose a threat to people and property. Seeing flying ants around your house in the winter months means there is a nest nearby, likely somewhere in or near your house. Flying ants often found nesting under the porch, near window sills, ins a bathroom or in a cabinet under the sink as they need wood and moisture. To eliminate ants that are inside your house, we seal off areas that they might be using to gain access indoors. Our professionals at Enviro Pest Solutions use proven products and methods to eradicate flying ants from your home and property. Professional Ant control begins with a deep understanding of what attracts ants to your home. Food that is spilled or left out – even food for your pets – serves as an invitation to ants. 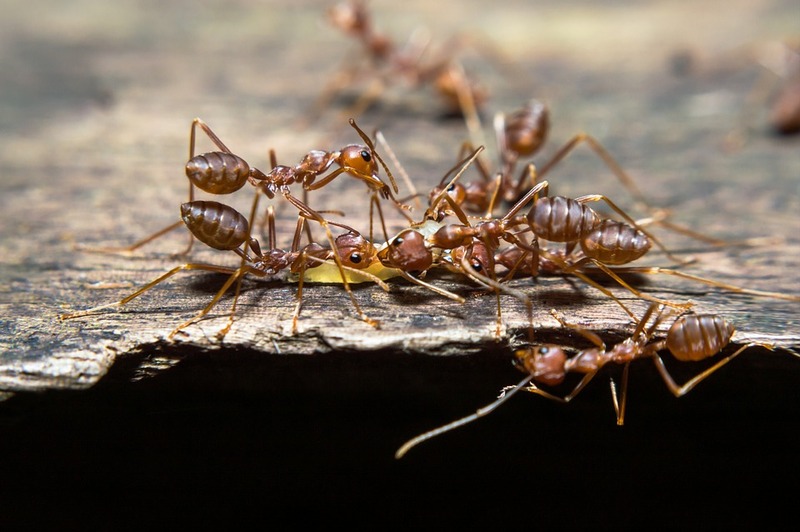 At Enviro Pest Solutions, we identify the type of ant, its food sources, and its nests. Then, we work with you for ant treatment. When you understand what attracts ants, there are many things you can do to discourage their presence. Spraying around an insecticide can get rid of some ants but it doesn’t provide a permanent solution. Rely on our professional ant control services, we can help you identify which type of ant was in your home and we come up with true and effective solutions. We offer high-quality ant control services in Hornsby, Ermington, Marrickville, Mosman and North Sydney council service areas. Looking for high-quality ant control services? Call Enviro Pest Solutions today!